. "Toronto Feature: Little Italy (en anglais seulement)". The Canadian Encyclopedia, 02 July 2015, Historica Canada. 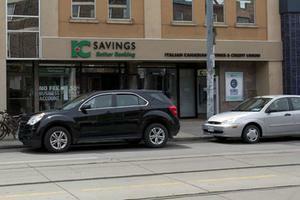 https://www.thecanadianencyclopedia.ca/fr/article/toronto-feature-little-italy-en-anglais-seulement. Accessed 24 April 2019. 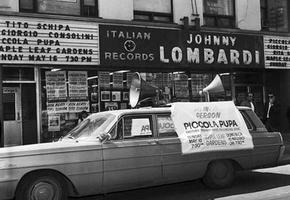 "'Mayor of Little Italy' Opens Supermarket"
Lombardi was born in Toronto's Little Italy (see Toronto). During the 1930s, he was lead trumpet in the popular Benny Palmer Orchestra. He joined the army in 1942, reached sergeant and participated in the D-Day invasion. He also entertained troops. 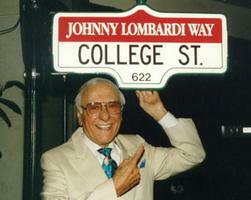 In 1946, he opened Lombardi's Supermarket on College Street and became known as the "unofficial mayor of Little Italy." He launched CHIN Radio in 1966, followed by CHIN FM in 1967. The stations' identity, he explained, was based on "C is for Canada, H for happiness, I and N for international."